We present the new board … – ISWI e.V. 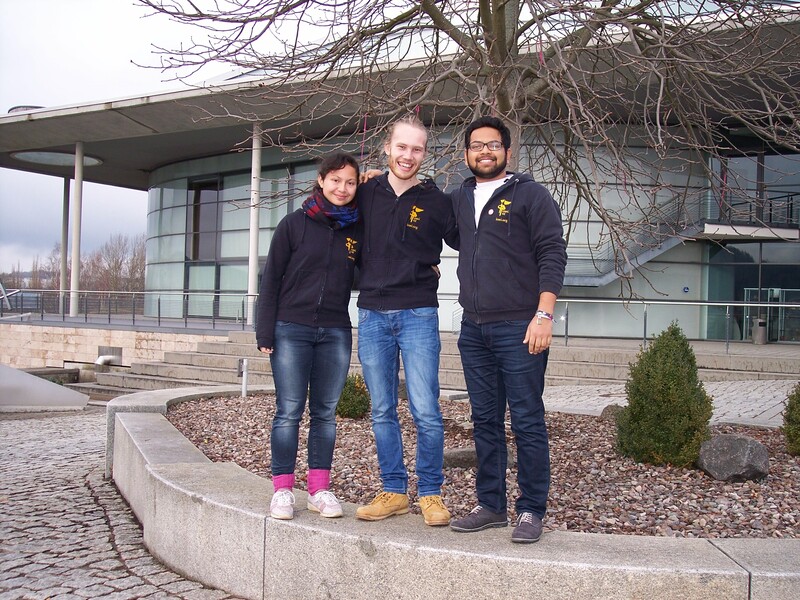 … Lanrianna Peters (1st Chairwoman), Sankalp Pawar (2nd Chairman) and Niko Kron (Chair of Finances). We congratulate all three on their successful election and wish them and the entire ISWI e. V. a successful year 2019! All well and good, we know their names. But who are they? What have they planned for the ISWI? And why are they engaged in the ISWI? We start with Niko, who has been ISWI’s Chair of Finances since the end of January 2018. He is studying mechatronics in the third semester and has not yet experienced an ISWI. I am particularly curious to see what this will feel like in May, when 370 students from all over the world will travel to our conference in Ilmenau. I have been a member of the association for a little over a year now and I can only recommend everyone to stop by. You can try yourself out in many different areas, learn a lot of new things, work with a great team and in the end actually make a little difference for, in my opinion, a great idea. Sankalp is also very excited about the upcoming ISWI. He is already a somewhat „traditional“ ISWI-person, who has been in the association since November 2014 and has witnessed two ISWIs. My name is Sankalp, currently I am a PhD candidate at TU Ilmenau. I moved to Ilmenau from Mumbai, India in 2014. Living in Germany has been a significant transition for me, one that has truly broadened my perspective of viewing the world. As an international student at TU Ilmenau, people at ISWI seemed like the most welcoming and friendly bunch on campus. The discussions and ideas at the association during the preparations for ISWI 2015 were captivating. Topics such as enhancing mutual understanding, cultural exchange, and social contributions provided meaning to me personally. Lanrianna is the newest member of them. She is studying Applied Media and Communication Science in her third semester and has been leading the cultural group of ISWI 2019 since September 2018. I feel very honoured and touched that everyone has entrusted me so much with the position on the board and culture group. I have been studying here in Ilmenau since October 2017. Sometimes time just seems to flow much too fast and at the same time you sometimes seem to be caught in a moment. You can’t capture or catch time, but you can use the time to participate in activities that are fun and for which it is worth investing time. I see this opportunity at ISWI: The ISWI e. V. contributes to the internationalisation of the campus, brings life to the idyllic city of Ilmenau and offers a platform for exchange, interaction and the living out of new ideas. It is simply fascinating what students can do with motivation. And what are your plans for 2019, dear board members? And like every two years our biggest project, the International Student Week Ilmenau (ISWI), is just around the corner! A lot has to be organized for this, because we want to offer you a colorful program: from workshops and discussions to a World Food Festival, Open Air and Special Event… Much more exciting things will await you, so write the date of ISWI, May 17th to 26th, in your calendar and visit our website 2019.iswi.org! A little tip: We can only advise you to be a part of the ISWI, be it as group leader, in the organisation team, participant or visitor, because the ISWI connects people. Become part of the ISWI family! It builds bridges over language barriers, creates cultural exchange and makes friends out of strangers. We can’t wait to meet you all!